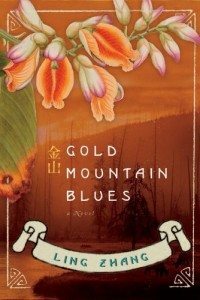 The controversy surrounding Ling Zhang’s novel Gold Mountain Blues continues to escalate, as a group of Canadian authors are now taking their allegations of plagiarism to court. On Thursday, Wayson Choy, Sky Lee, and Paul Yee filed a lawsuit against Zhang’s publisher, Penguin Group Canada, for copyright infringement, the Toronto Star reports. The trio of authors are seeking $6 million, plus $1 million each in punitive damages from Pearson Canada, Penguin Canada’s parent company. Also named in the suit are Zhang, for purposely copying multiple elements from the plaintiffs’ published works, as well as Nicky Harman, the book’s U.K.-based English-language translator who conducted a review of the plagiarism allegations for Penguin. The suit says the Canadian authors now face significant potential losses when they are eventually published in China because it will appear to Chinese readers in China that the plaintiffs have copied portions of Gold Mountain Blues when the authors were long-published before the book came out. The suit says the authors have identified more than 50 key examples of original elements that have been substantially copied. The Star has previously published a list of similarities between Gold Mountain Blues and works by Choy, Lee, and Yee, provided by the plaintiffs’ legal counsel, May Cheng. The list highlights comparable plot points, character backgrounds and dynamics, and historical settings. On Oct. 3, Choy, Lee, and Yee sent a letter to Penguin Canada requesting a publication delay to allow for an independent review into the allegations. Author Denise Chong reiterated the request, raising concerns around the similarities between her novel The Concubine’s Children and Zhang’s. Days later, Penguin released the novel as they claimed to be satisfied by the results of Harmon’s internal review. If my memory serves me correctly (as I read the two books a while ago), Ghost Train is an illustrated children’s book and Concubine’s Children is a memoir of a family story, both wonderful and inspiring. Gold Mountain Blues is a multigenerational epic novel of 522 pages. The three books are vastly different other than sharing a portion of common history, with mine covering a longer span of more than 130 years. Ghost Train and Concubine’s Children are both great books which I enjoyed very much. Each of the three books is a unique work of art by its own right. The allegations of plagiarism against Zhang originated in the Chinese-language blogosphere and caught the attention of Canadian media back in February.